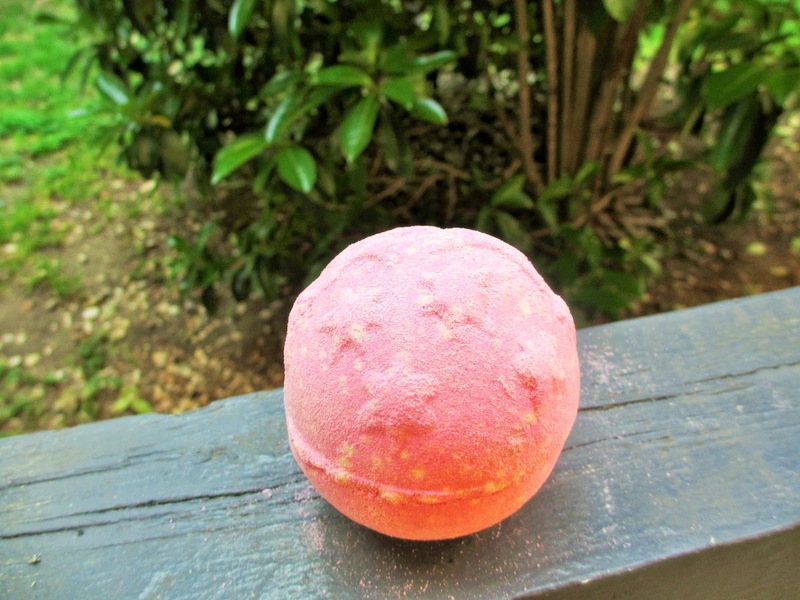 LUSH is a cosmetics store that specializes in handmade bath and body products. The other day was my first time visiting the store and I managed to purchase a few products that looked appealing. Prior to shopping at LUSH, I heard many good things about it, but I just never got around to visiting. After receiving a gift card from my sister-in-law, I thought it was the perfect opportunity to check it out! Of course I had to try some of their legendary bath bombs. These little wonders not only smell amazing, they make taking a bath tons of fun. 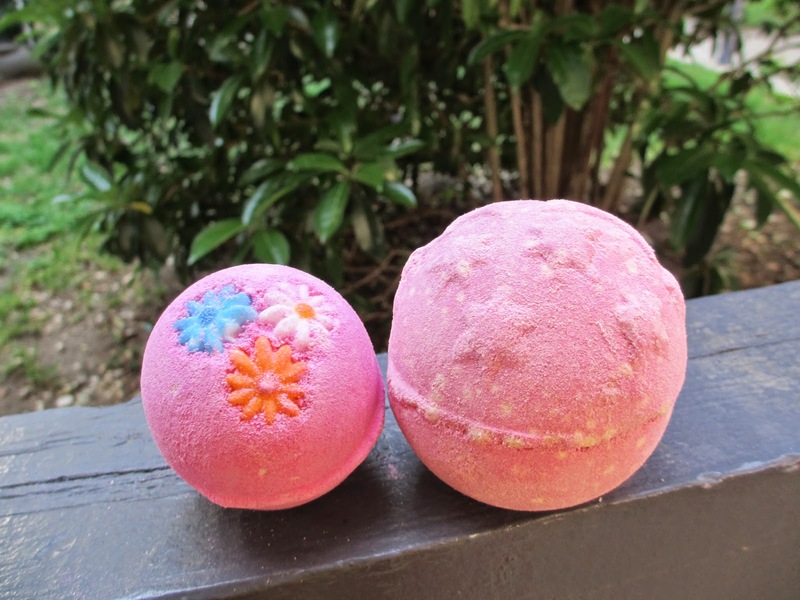 Bath bombs originated from LUSH and they have many bombs to choose from. I had a chuckle when my boyfriend (who bravely accompanied me on this adventure) asked if these were candy. I wish! 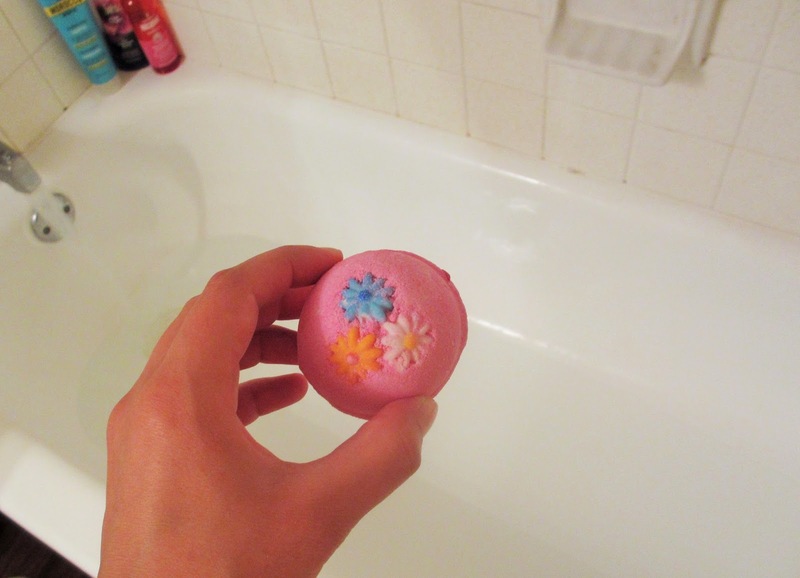 Out of the overwhelming choices of bath bombs, I chose Pink Bath Bomb, mainly because of the wondrous aroma it exuded. It smells very sweet, like candy, but not overly sweet because it is well balanced with other herbs. When dropped in water, it fizzes up and turns the water bright pink! It softens and moisturizes the skin with a revitalizing aroma that stays on your skin after soaking it up. 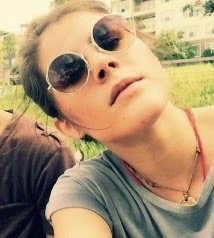 Did I mention it's perfect for spring? Here's the other bath bomb I purchased, which I have yet to try. I picked this one out because I heard many good things about it and it smells amazing. It's called twilight and it helps with relaxation and falling asleep, so I'll probably use it around nighttime. I'm eager to try it! While I was looking through the facial products, many caught my eye. 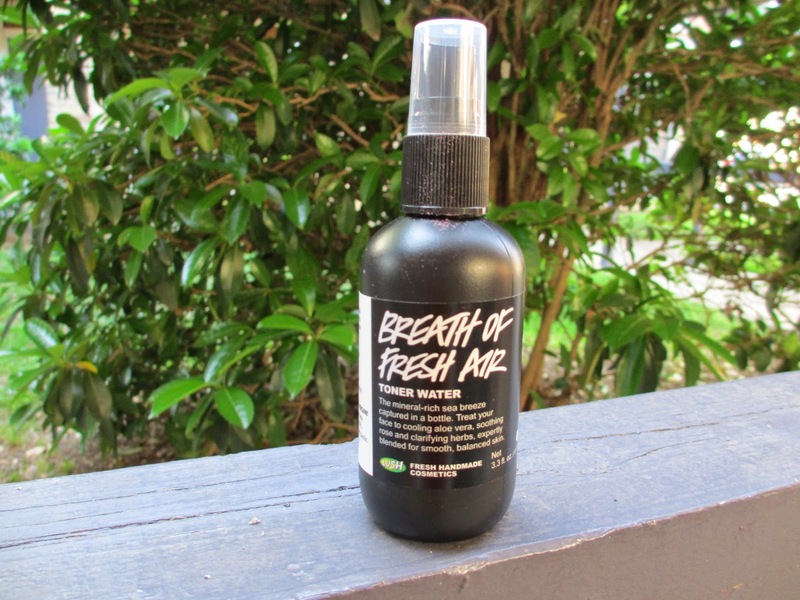 I chose the breath of fresh air toner water because it contains tons of minerals that help revitalize the skin. My first time using this, I found it quite intense, so I immediately followed up with a good lather of moisturizer. 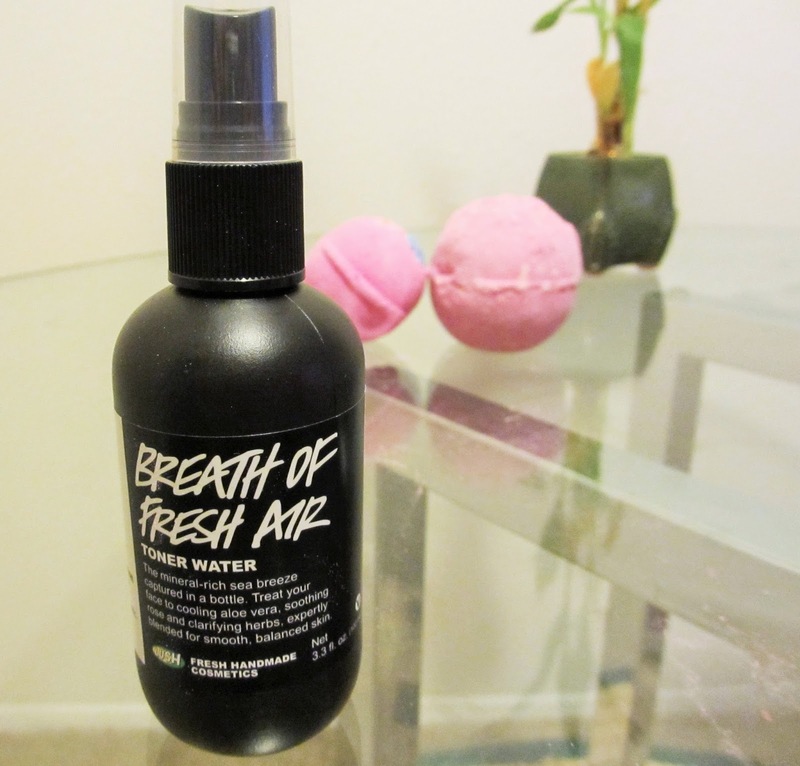 It smells very strongly of herbs, so I don't recommend it for those who have a problem with certain herbal scents. One thing I was really looking forward to was trying a shampoo bar from LUSH because lately I've been wanting to go for more natural hair products. Although there were a few shampoo bars that caught my attention, I was highly disappointed to find that all of them had the ingredient sodium lauryl sulfate (SLS). This was surprising because most natural shampoo bars do not contain this ingredient. To give a quick overview, there has been a lot of controversy over SLS. It was once claimed to have caused cancer. Whether this claim is true or not, SLS is still something I try to avoid because of its ability to break down hair follicles. The reason this ingredient is commonly used is because it acts as a cheap solvent and is responsible for the lather in shampoo, not to mention that squeaky clean feeling that it gives. The rest of the ingredients in the shampoo bars are mostly natural, but I felt this was important to mention. There was a decent selection of fresh face masks on display that I considered trying, but I couldn't get the thought out of my head that I could go home and make them all myself. Although they contain superb ingredients for the skin, such as garlic, cocoa, honey and tea tree oil, I kept reminding myself how much less costly it would be to make my own concoctions. They only have a shelf life for a few weeks, so I don't recommend buying a jar of the product, unless you're going to use it like crazy. The pricing was decent, considering it is all handmade. I highly recommend purchasing from their website because there are so many more selections. I felt there was a scarce amount of selection in the actual store. Next time, I'll probably be purchasing from the website because I would love to try some of their bubble bars and bath melts!